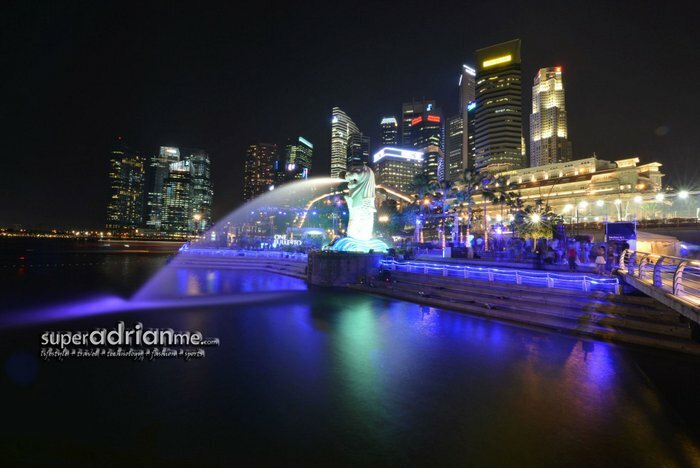 10 September 2012, Singapore – Singapore’s iconic Merlion turns 40 this week on 15 September 2012. 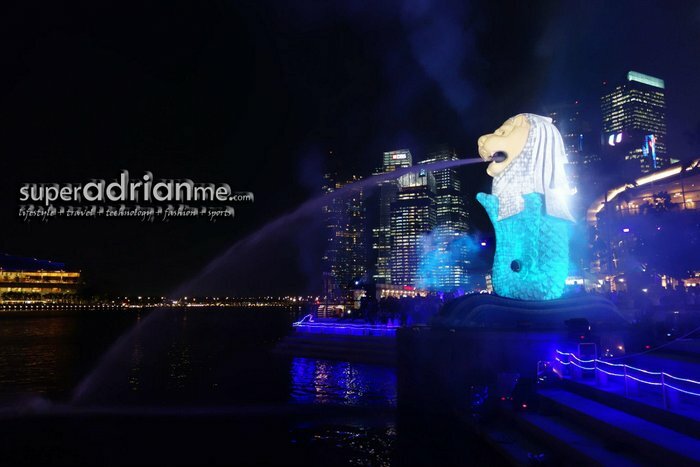 The Merlion has undergone a two-month long makeover and the rejuvenated Merlion will feature a specially choreographed light show from 12 to 16 September 2012. An art installation featuring the Merlion is also on display at Ngee Ann City till 30 September 2012. Do not miss out the photograph opportunity with Singapore’s prominent icon in the month of September. The Merlion symbol was first designed by Fraser Brunner, a member of the Souvenir Committee and curator of the Van Kleef Aquarium, for the logo of the Singapore Tourism Board and was used from 26 March 1964 to 1997. The Merlion at the Merlion Park was first built as an eight-metre tall sculpture in 1972 and located at the mouth of the Singapore River to “welcome all visitors to Singapore”. Commissioned for approximately $165,000 in 1971 by the Singapore Tourism Board, it was built by Mr Lim Nang Seng, a local craftsman who had won several prizes in the Singapore Handicraft and Design competition. The Merlion was formally installed on 15 September 1972 by the then Prime Minister, Mr Lee Kuan Yew. On 15 September 2002, the Merlion was moved to its current location at Merlion Park next to One Fullerton, and now overlooks the scenic Marina Bay. The Merlion statue at Merlion Park in One Fullerton underwent restoration work as well as got a new waveform which it sits on. 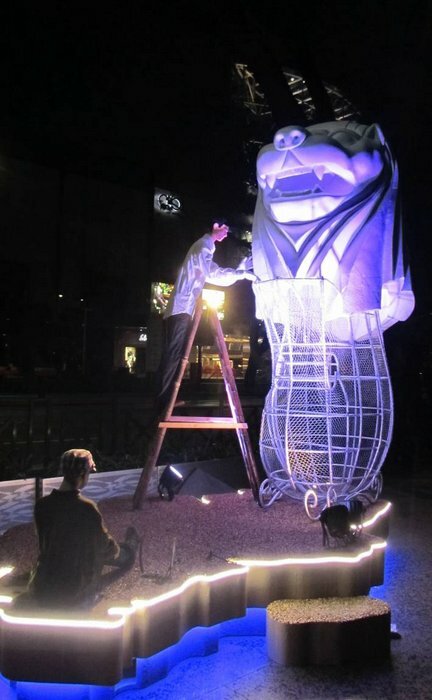 Prior to its celebrations this week, life-sized cut outs of the Merlion were placed at attractions and landmakrs in Singapore including the Night Safari. Singapore Flyer and the Jurong Bird Park. Look out for the commissioned art installation titled “A Father’s Love, A Country’s Inspiration” in front of Ngee Ann City Civic Plaza Fountain till 30 September 2012. The art installation captures a moment in time when the Merlion statue is being sculpted by the late Mr Lim Nang Seng. One of his sons sits nearby with a tiffin box, waiting for his father to take a break for their meal together. 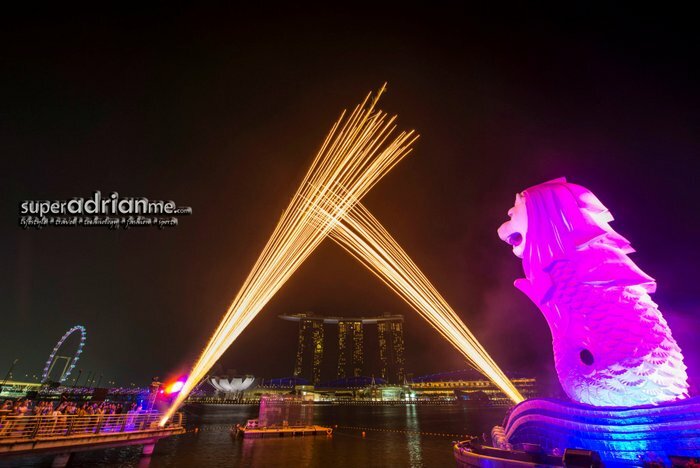 A seven-minute show that traces how the Merlion has evolved to become Singapore’s icon over the past 40 years in the form of dazzling light projections, sound and pyrotechnics is the highlight of the Merlion’s 40th birthday celebrations at the Merlion Park. The spectacular light show will be performed every evening with up to six shows each day for four days from 12 to 16 September 2012. The music and lyrics was written by music director Kenn Chua who has produced concerts for celebrities including Corinne May, Kit Chan and Stefanie Sun. Singing the song is local artiste Jim Lim who was a member of local group Dreamz FM. An MTV version of this song was also recorded with Serene Koong who was awarded “Most Popular Newcomer” at the 2010 Singapore Hit Awards.